in Google They will find you! A complete professional team dedicated to your project. Projects to position all your keywords and get thousands of forms. 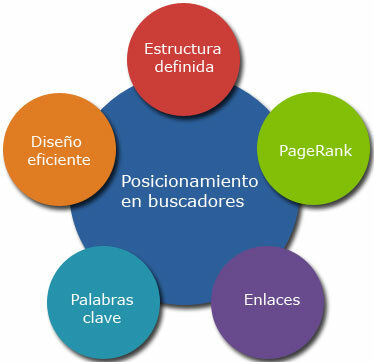 Web analysis: structure, technology, menus, contents and main competitors. We develop lists of hundreds of words that are positioned to get high quality visits. We create different metatags for each page and calculate the density of keywords. Review of HTML and CSS code for maximum SEO performance. We write optimized texts to increase search engine visibility. Strategies for internal, external and high links in local directories. We multiply the scope of each publication by viralizing it on social networks. Visits reports, Google positions and visitor entry pages. We put at your disposal a permanent consultant for your project available by phone or email. Search engine positioning "no cheating"
Image and positive brand impact. Updated profile in networks and directories. We get a greater Engagement.